The Makita BDF451 is a driver-drill combo kit powered by 18V LXT lithium-ion batteries that offer 280% more lifetime work and twice the number of cycles, providing longer run time. 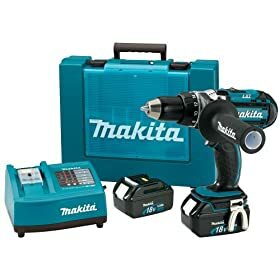 The drill/driver itself is fairly compact and lightweight, weighing in at less than 5 pounds, yet it’s packing a powerful 560 in./lbs. of torque. It’s got a super speed range of 0 to 300 rpm in low gear, 0 to 600 in mid-range and 0 to 1,700 rpm in top gear. Sometimes, you may encounter a little resistance if you’re switching directly from low gear to high; if that happens, running the tool in mid-gear for a couple seconds completely alleviates any snag. The built-in fan in Makita BDF451’s charger cools the battery and gives it a longer life. 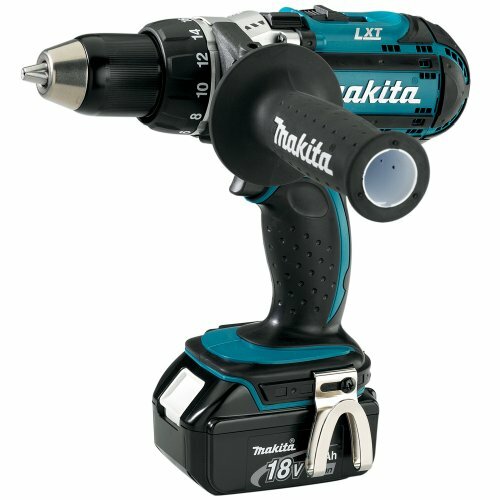 But perhaps the coolest innovation is what Makita calls its 45-minute Optimum Charger. It actually talks to the batteries it charges throughout the cycle, using a built-in memory chip in the battery and, believe it or not, a CPU chip in the charger itself, which analyzes the data stored in the battery chip to decide on the best charging method at that time. 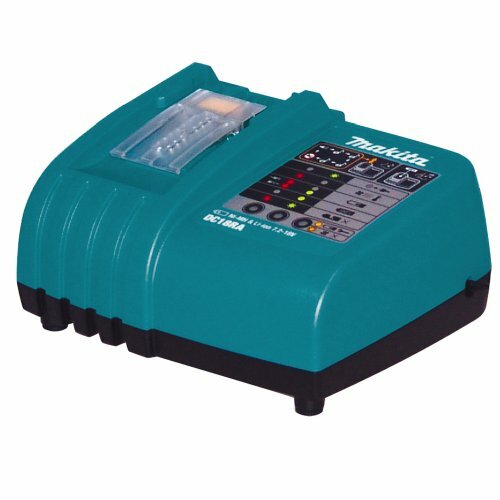 The charger in Makita BDF451 LXT also features “Active 3 control” for current, thermal, and voltage controls. 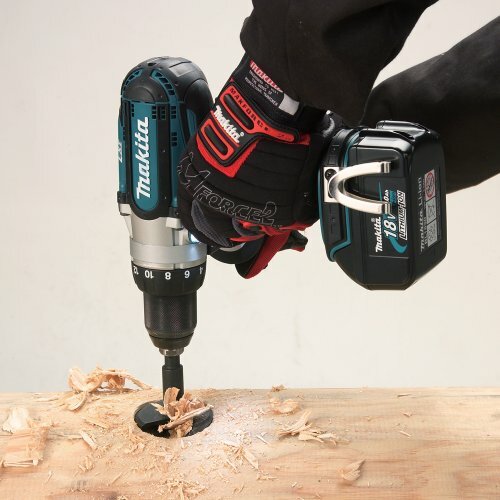 The shape of the Makita BDF451 drill-driver is designed ergonomically to fit the hand perfectly so that the user does not experience fatigue even after tough jobs. Makita say's this is normal. I have a small home improvement business and needed a replacement for my aging (and battery eating) Dewalt 18v Ni-Cad drill. Overall i am pretty pleased with this unit. It is very light, compact, powerful and has the basics onboard...like a drive tip clip, a belt loop, and lights. 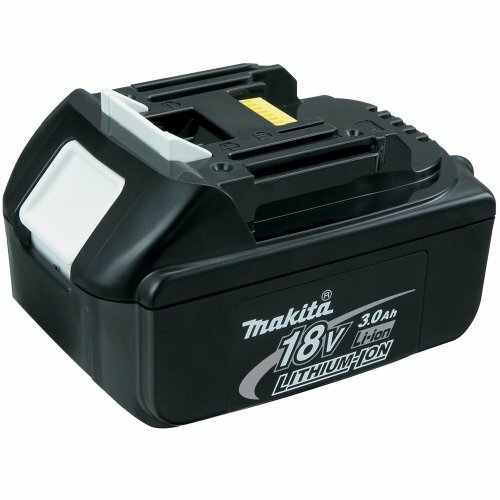 This is my first Lithium Ion tool and i am amazed mainly at how fast the batteries recharge. And I get a full day out of the two batteries in this kit as opposed to the Dewalt which would go through at least three before they ran down. To a point that i had to keep a Dewalt charger in the truck to keep me going. The Makitas will go all day and dont need to be charged until i get home at night. I prefer this drill over the hammer drill version as it is a tad lighter and smaller (the chuck is a little shorter). I keep a hammer drill in the truck and had no need for duplication ...for something i only need 3-4 times a month. Folks seem to automatically buy the hammer version but look at the size and weight before you do it. That little bit makes a difference when you are slinging these things around all day. And compared to the Dewalt? Wow...it's sooo much lighter. The power is rated very high (torque) and have had only a couple of occasions where it bogged driving 4" screws. Strangely, the Dewalt, which is rated lower, drove the screws the rest of the way. I might have had the torque/speed setting wrong on the Makita ...who knows. Overall...i would recommend it to anyone...homeowner or contractor. I am currently using this drill to build a deck. The battery life is impressive. I thought the light on the drill was nothing more than a gimmick but after working outside on a few late nights it really came in handy. Have been using it for a couple weeks and haven't found anything negative with it yet. The drill has performed flawless. It has great power and battery life. The only thing I wish it would be about one pound lighter but the trade off is worth it. I had the last generation Makita driver/drill and really enjoyed it, but the new ones are significantly improved. 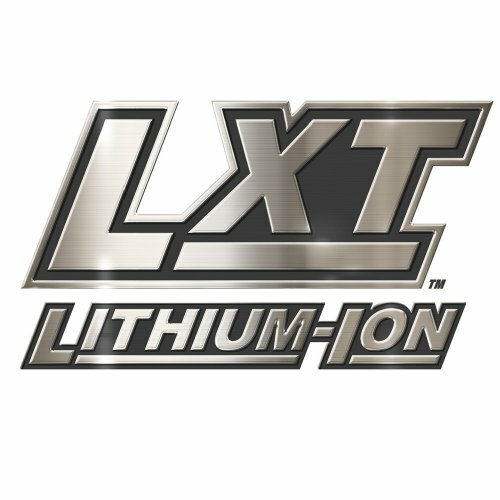 Solid driver action and long lasting battery. 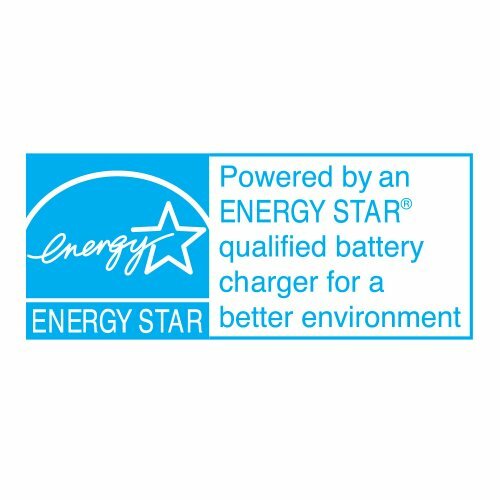 Charger is high quality with a built in cooling fan (the last gen charger would not recharge back-to-back without a cooling perios). The BDF451 is NOT a hammer drill... Amazon is using the specs for the BHP451 which is in fact a hammer drill.